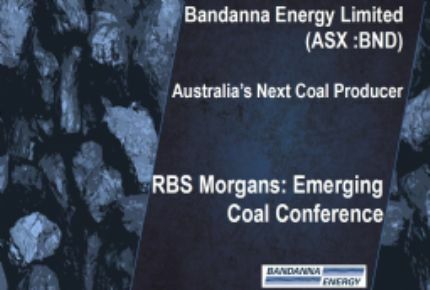 Bandanna Energy Limited (ASX:BND) is uniquely positioned to become Australia's next coal producer. The company's core activities are exploration, project evaluation and development of thermal and PCI coal assets located in Queensland, Australia. Bandanna Energy's Springsure Creek underground thermal coal project is scheduled to commence production in mid-2015. Bandanna is a 14% shareholder in Wiggins Island Coal Export Terminal (WICET) Stage 1 at Gladstone, with port allocation of 4Mtpa for the Springsure Creek Project, and has also secured the necessary infrastructure capacity for the integrated rail haulage of coal from the Springsure Creek Project to port. Bandanna Energy Limited (ASX:BND) (OTCMKTS:BANAF) is pleased to announce that the Queensland Government has approved the Environmental Impact Statement (EIS) for its Springsure Creek project. During the Reporting Period Bandanna Energy Limited (ASX:BND) continued laying the foundations for the development of the Springsure Creek coal project and execution of its strategy to become Australia&apos;s next coal producer. Bandanna Energy Limited (ASX:BND) (PINK:BANAF) today announced that it had submitted a Mining Lease Application for its Springsure Creek project south east of Emerald in central Queensland. 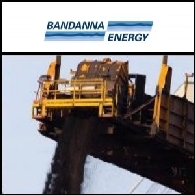 Bandanna Energy Limited (ASX:BND) today announced that the Queensland Government has approved the release for public review of the Environmental Impact Statement (EIS) for the South Galilee Coal Project. Bandanna Energy Limited (ASX:BND) today issued its annual report and full year financial statements for the 2012 financial year. 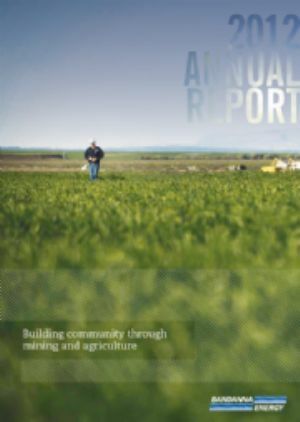 Managing Director Michael Gray welcomed the issue of the annual report, which highlights the substantial progress the Company has made over the past 15 months as it progresses towards becoming Australia&apos;s next coal producer. 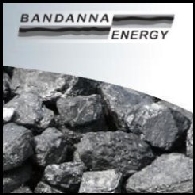 Bandanna Energy Limited (ASX:BND) announced today that it had finalised full documentation for the development and operation of train loadout infrastructure at Triumph Creek, to be located on portions of Acacia Coal Limited&apos;s (ASX:AJC) coal exploration tenement EPC 1230. To be designed and operated for multiple users, the Triumph Creek facility will provide loading capacity for the Springsure Creek project through to full-scale production. Bandanna Energy Limited (ASX:BND), through its wholly owned subsidiary Springsure Creek Coal Pty Ltd, is pleased to announce a Resource in the Springton domain Aries 2 Seam totalling 259.4 million tonnes. This Resource comprises a Measured Resource of 52.8 million tonnes, an Indicated Resource of 140.3 million tonnes and an Inferred Resource of 66.3 million tonnes. The new Resource statement follows the completion of boreholes intersecting the targeted Aries 2 Seam from December 2011 to June 2012. 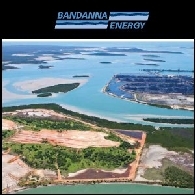 Bandanna Energy Limited (ASX:BND) are pleased to provide the Quarterly Activities Report for the period ending June 2012. Bandanna Energy Limited (ASX:BND) today provided an update in relation to its Springsure Creek underground coal project. The Springsure Creek project has an allocation of 4Mtpa capacity through the new Wiggins Island Coal Export Terminal (WICET) and will export first coal to customers via WICET in the second half of 2014. Bandanna Energy Limited (ASX:BND) today provided an update in relation to its Springsure Creek Project. Bandanna is proposing to submit a replacement mining lease application for the Springsure Creek Project to address technical errors identified in the former mining lease application (MLA 70416), as well as concerns raised by some members of the local community.